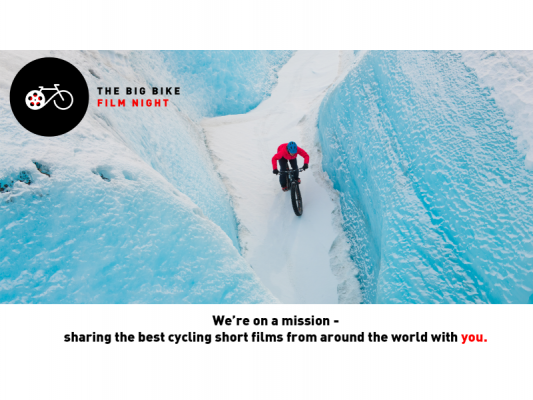 Shockcraft is a supporting sponsor of the Big Bike Film Night. The upcoming series is even bigger than before and will run in 31 locations around NZ from March to May 2019. Check out the trailer here. Simply email to sales@shockcraft.co.nz the date and location of the screening you'd like to attend and you'll go in the draw to win a double pass. 1. Entry is only open to individuals resident in New Zealand. Employees of Shockcraft are not eligible to enter this competition. 3. Entries must be received by Shockcraft prior to 5 pm Tuesday 9th April 2019. 4. One winning entry will be selected and will receive a double pass to the Big Bike Film Night in the location of their choice. 5. The winner will be notified by email. Inability to contact the prize winner within 7 days of the end of the competition will result in the prize being forfeited and a further entry will be selected and the prize awarded to someone else. 6. Shockcraft's decision is final and no correspondence will be entered into. 7. The prize is not exchangeable or transferable and cannot be taken for cash. 8. The winner consents to their name being used for public relations purposes relating to this promotion.